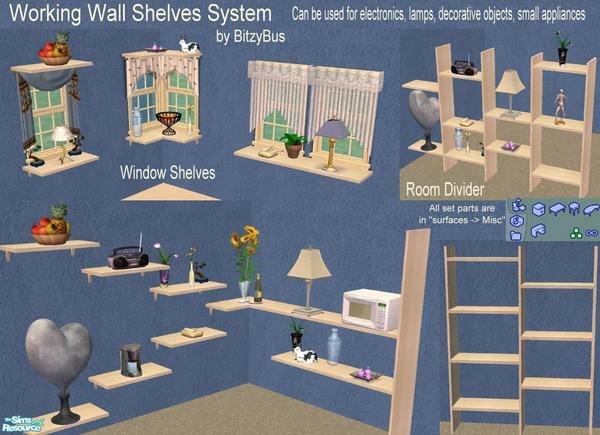 In this section you can find various shelves, storage and display items custom content downloads for The Sims 2. 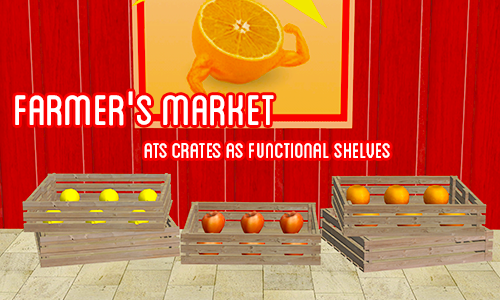 Descrtiption: Wooden crates with slots. 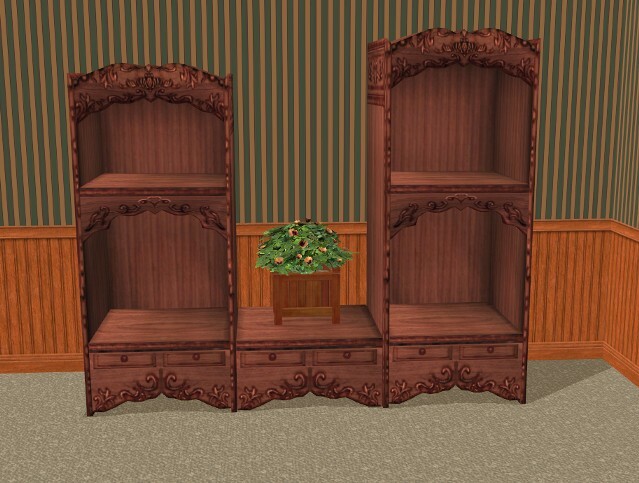 Description: Vintage style shelves (shelving unit). 9 recolours. 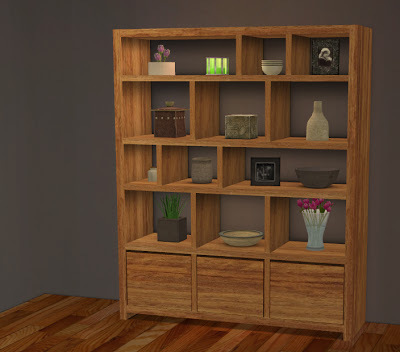 Description: A shelving unit / cabinet unit with lots of decorative slots. 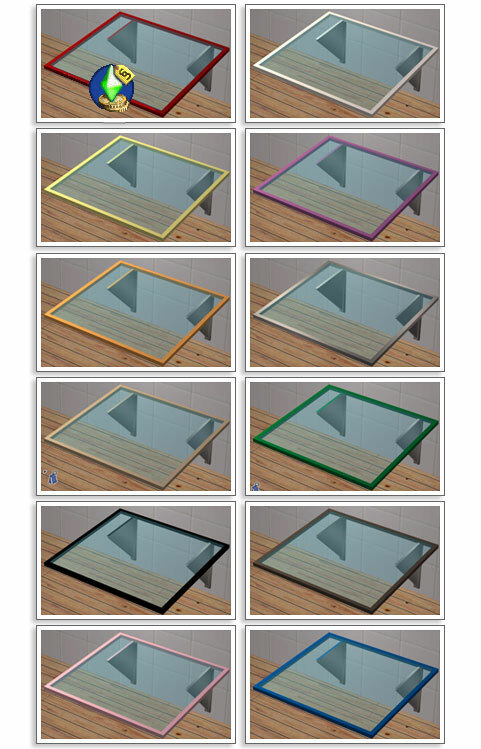 Description: Glass shelves in twelve colour options. 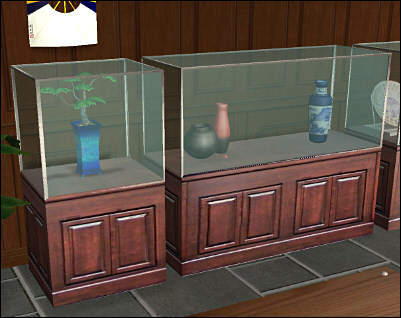 Description: Maxis Ultra Sporty Trophy Display Case Only in slaved and unslaved versions. You will need OMSP to use those cases. 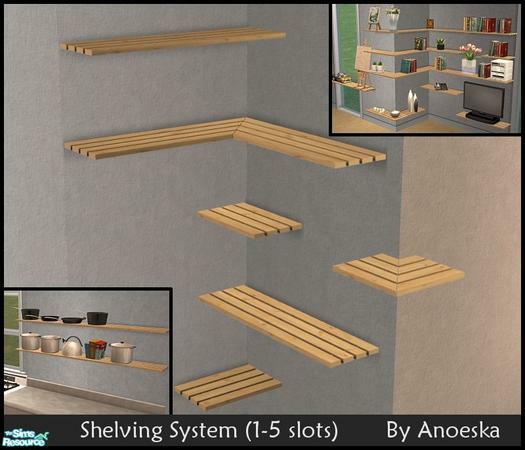 Description: Shelving system (including standard, half shelves (left and right) and inside and outside cornershelves) with slots. 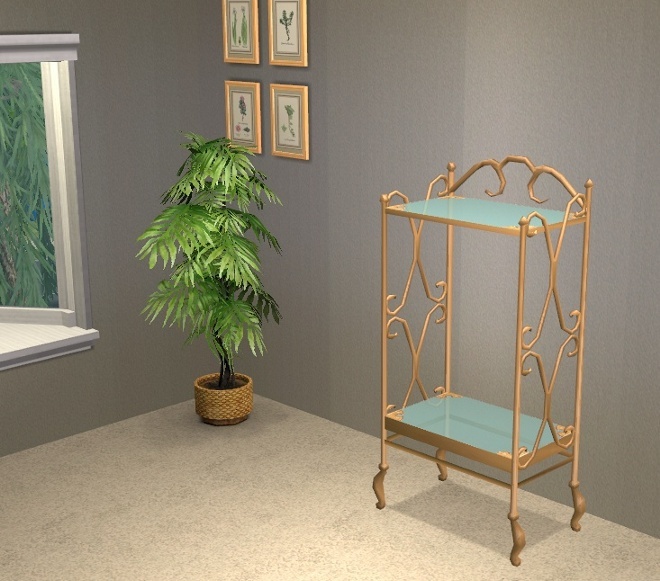 Description: Wire shelves (small, stackable, on wheels, double sided and three tier) by PrincessBliss from Black Pearl Sims (the website is no longer active). 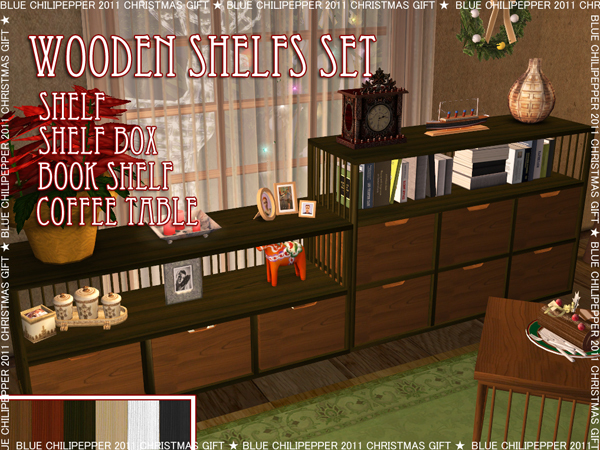 Description: Wooden shelving set with slots. 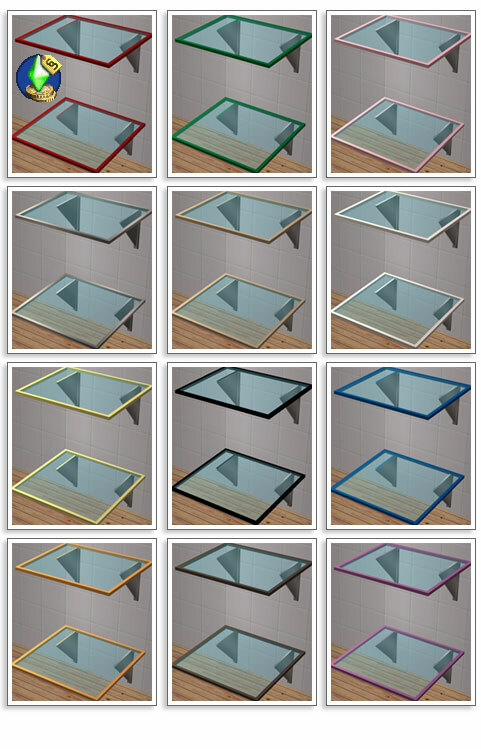 Description: Wooden and glass shelves in slim and wide versions. 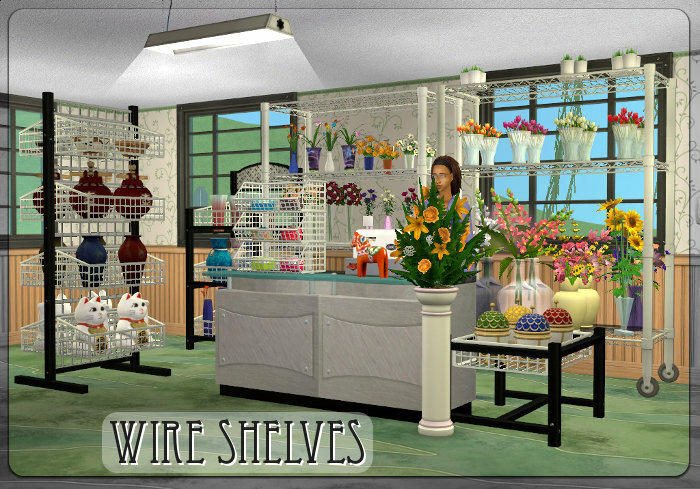 Description: Wire shelving (recolours of TombstoneofLifeandDeath’s conversion of MKstudio’s creations). 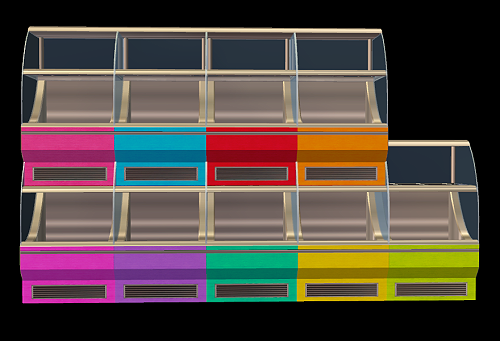 Description: Decra chill display recolours in Pooklet's unnaturals. 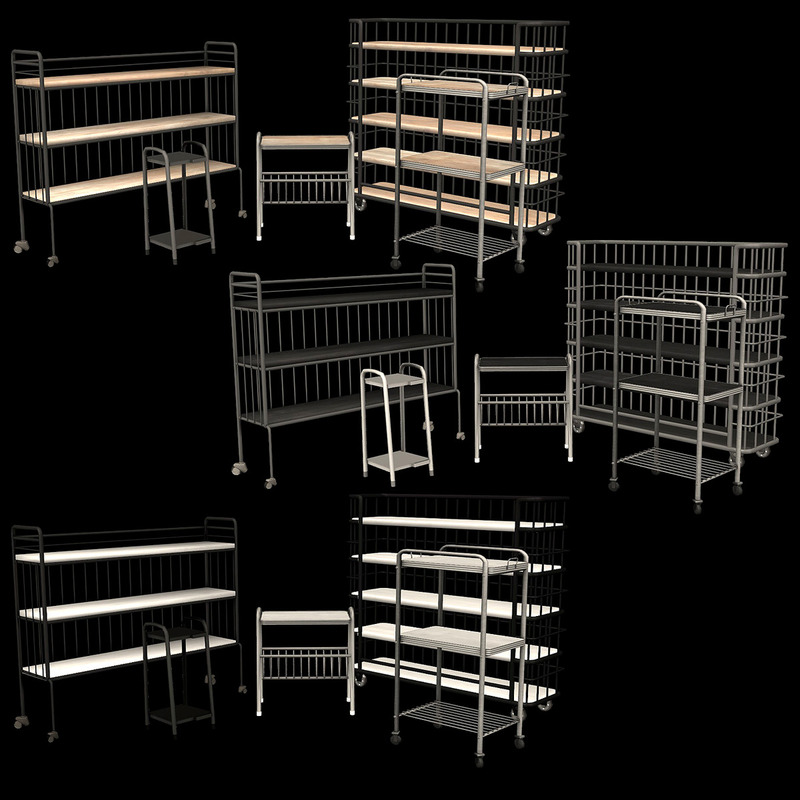 Description: A shelving system with window shelves, room dividers, individual shelves and shelving units. 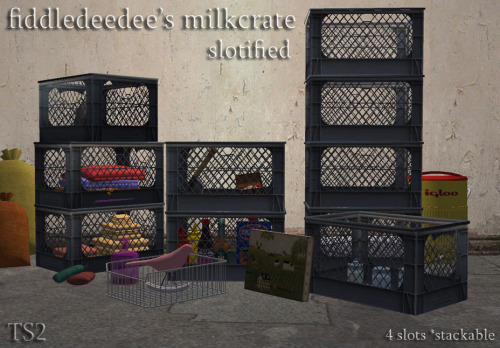 Description: fiddledeedee's Milkcrates with slots. 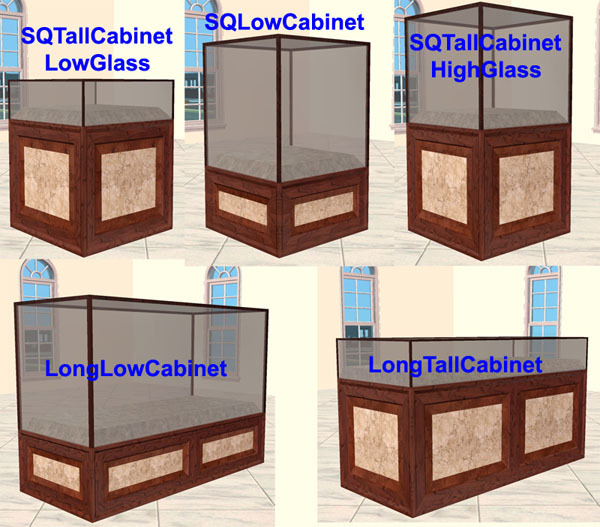 Description: Four pedestals in five colours. 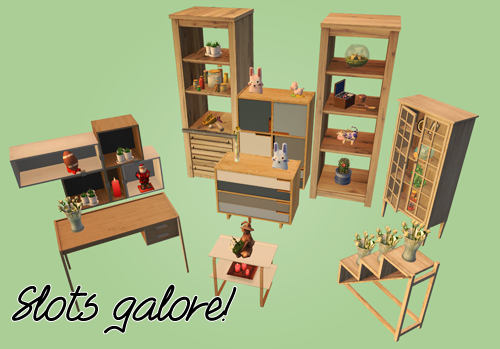 Description: A modular set of shelves. 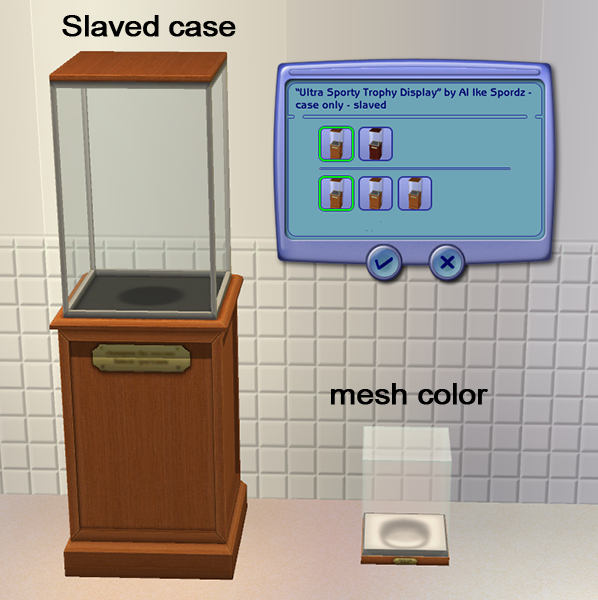 Description: A set of glass display cabinets for museums. 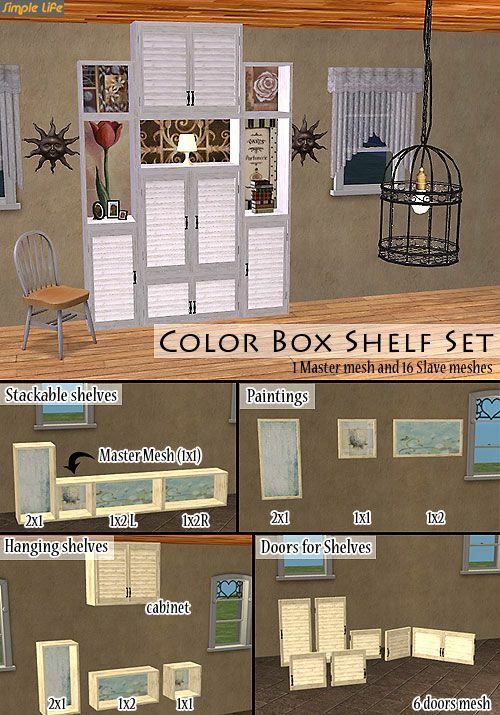 Description: An improved version of vintage shelves by mdhttr323. 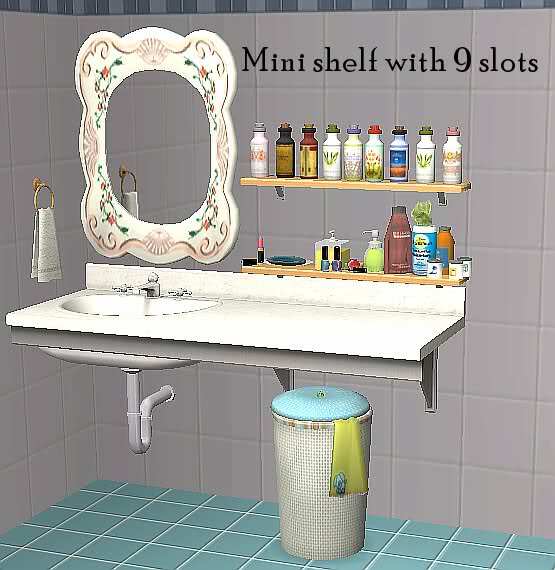 Description: Mini shelf with nine slots. 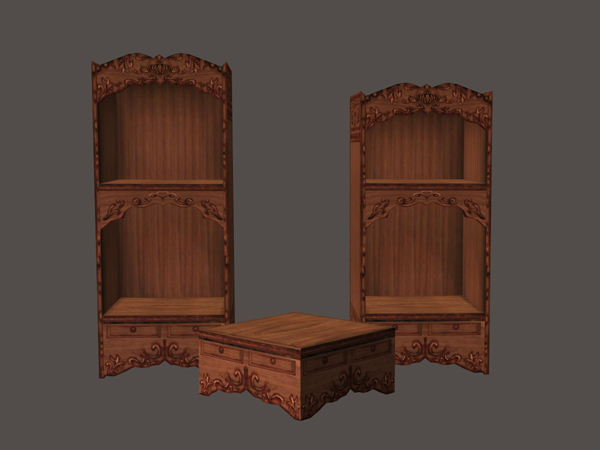 Description: A set of furniture with slots. 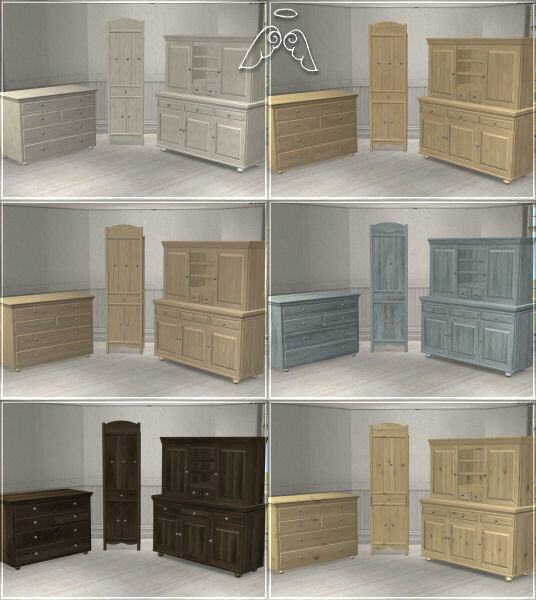 Description: Champagne set wood recolours.